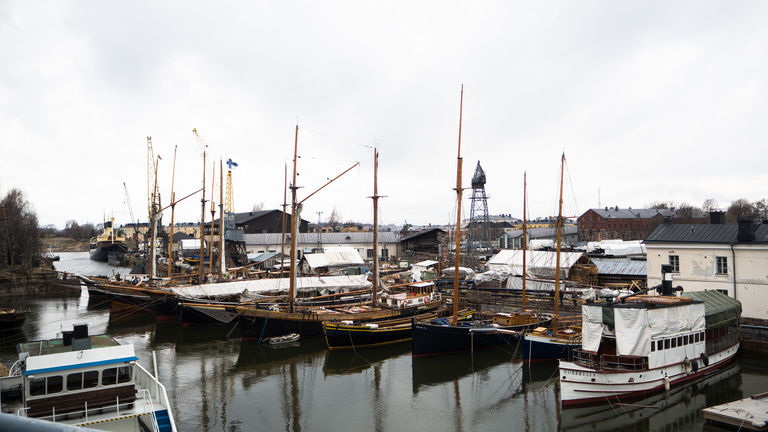 During the last week of April, Suomenlinna Dry Dock offers visitors a special event when the during winter repaired historical ships set sail. The dry dock has been in use since the 18th century and is still a viable dock. Once a year, the public is invited to watch the undocking procedure from the observation deck. This is an event you don’t want to miss! On Monday 22nd April, at noon, the personnel of the dry dock will inspect the basin in order to ensure that the ships are ready for the water. On Tuesday 23rd April, the outer basin of the dock will be filled with seawater. And finally, on Wednesday 24th April, the valves to the inner basin will be opened at 7 am and the gates at 1 pm. This is the first time the ships come in contact with water after the winter season. When the basin is filled up, the first ships set off, while some remain at the dock to be further equipped.